Guide Dogs Australia is the leading charity supporting people who are blind or have low vision to move safely and independently in their communities using a broad range of orientation and mobility services. Minister for Tourism, Major Events, Sport and Veterans, The Hon. John Eren MP, believes major events, such as the Formula 1® Australian Grand Prix, provide a unique platform for charities to promote their cause, raise funds and educate a vast audience. “It is an incredible opportunity to raise awareness of an important cause, to generate engagement with fans and to ultimately do so on a global scale,” said The Hon. John Eren MP. Guide Dogs Victoria CEO, Karen Hayes, believes the partnership is a great alignment as both Guide Dogs Australia and the Australian Grand Prix Corporation have a strong focus on innovation, technology and delivering world-class service. “Guide Dogs Australia supports thousands of people with low vision or blindness each year achieve their goals in life. Whether it be with the support of a Guide Dog, white cane, orientation and mobility services, occupational therapy or innovative assistive technologies. We are there every step of the way to make it happen” Hayes said. “We are thrilled to have the support of the Australian Grand Prix Corporation and to be represented at one of Melbourne’s major sporting events as the Official Charity Partner,” she said. Australian Grand Prix Corporation CEO, Andrew Westacott, is proud to partner with Guide Dogs Australia as the Official Charity at the 2017 Formula 1® Rolex Australian Grand Prix. 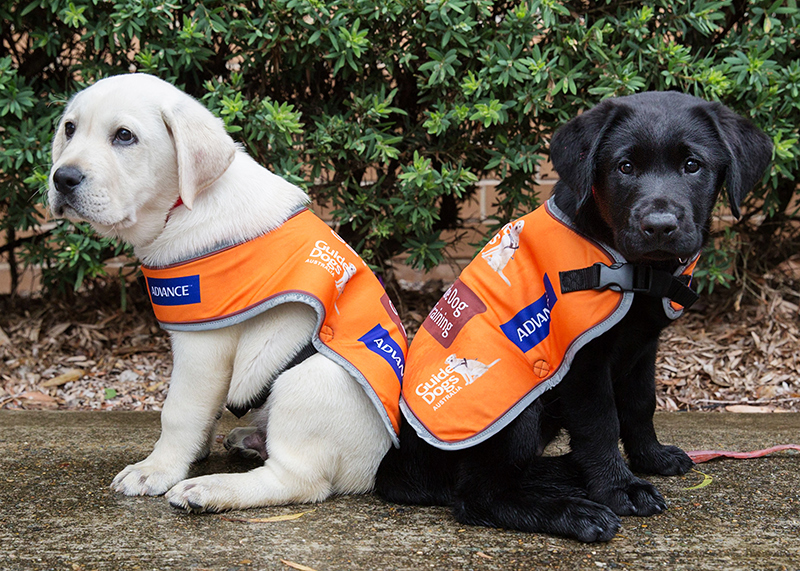 “We are looking forward to working alongside Guide Dogs Australia to help drive awareness of such an important cause,” Westacott said. “We are also excited to partner our sensory experience of burning rubber and fast cars with a charity that uses innovative technology to enhance the senses of those who are blind or vision impaired,” he said. The Australian Grand Prix Corporation and Guide Dogs Australia are looking forward to engaging with fans, and will host several activations over the four days of the 2017 Formula 1® Rolex Australian Grand Prix. An interactive multi-sensory experience marquee will challenge and super charge the senses for fans and create a unique opportunity for them to experience a world without vision. Kids and families will also get a chance to meet some gorgeous Guide Dog Australia puppies and learn more about how they are trained.